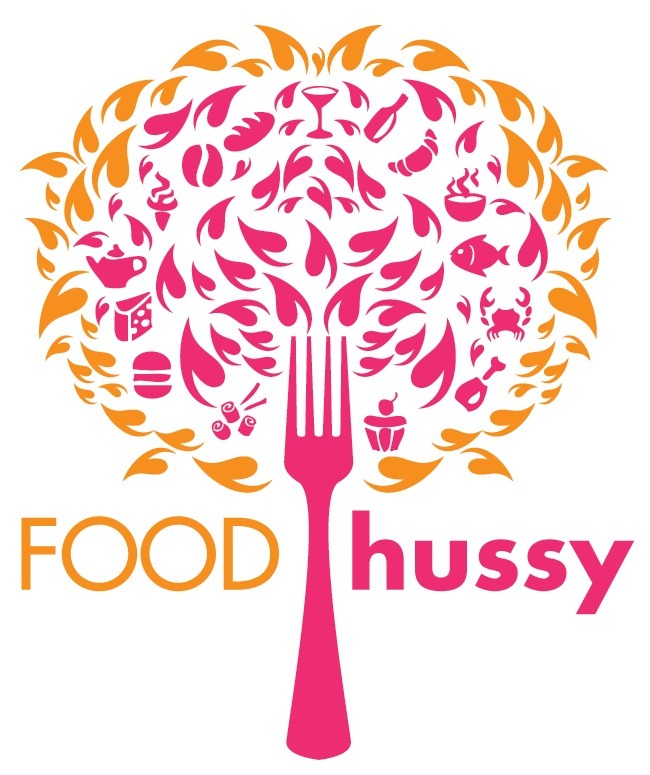 Food Hussy Recipe: Salmon & Avocado Salad | The Food Hussy! This post is sponsored by IKEA but all opinions are my own. Obviously I love IKEA and they're having a fun Easter celebration coming up tomorrow night - plus they shared a great salmon avocado salad recipe with me that I had to make for a cozy night in with the hubs. I had just gotten new place settings for the house and I thought it was a great time to give them a whirl! They have these super cute candle holders - in bright pink of course - as well as serving dishes, glasses, etc. - of course everything I needed. You know they have salmon in their food market - right? It's frozen and packaged individually - they sell them in 4-packs and it's very high quality and responsibly farmed. Look at it - looks perfect - right?! Click here for the full IKEA Påskbord menu and be sure to join them tomorrow night! We don't sit at the table enough - most of the time it's on the couch watching TV - but having a fun place setting, candles and flowers actually makes the table much more inviting. Plus - it gives me and Larry a chance to connect after a long day at work. And of course - with IKEA there's something for every style - and my style is bright and happy with LOTS of color!!!! I can never have enough color!!! I actually mixed and matched different design series for the final look but a lot of it came from the Poppig series - so if you want to recreate it - you can start there. For the salmon - I added seasonings to it and then seared it on each side for a couple of minutes - then served it up with the green beans, avocado and some fresh lime to squeeze on top! It looked so good and I was definitely ready to dig in - it's also simple and it went together quickly. The best part was that the salmon only had to cook for a few minutes - which is what I need after a long day at work. DINNER. FAST. I also put together a super simple vinaigrette for it - with balsamic vinegar, olive oil, lime juice, salt & pepper. I put poured a little bit together - just enough for Larry and I - and then wisk wisk wisk and done. You can use whatever you have in your fridge but I have to say - throwing that together quick was really light, fresh and tasty! Turn the beans with the green salad in a bowl and add olive oil, salt and black pepper. Squeeze half a lime in the bowl. Distribute the contents of the bowl on 4 plates and add pieces of the equivalent of half an avocado to each plate. 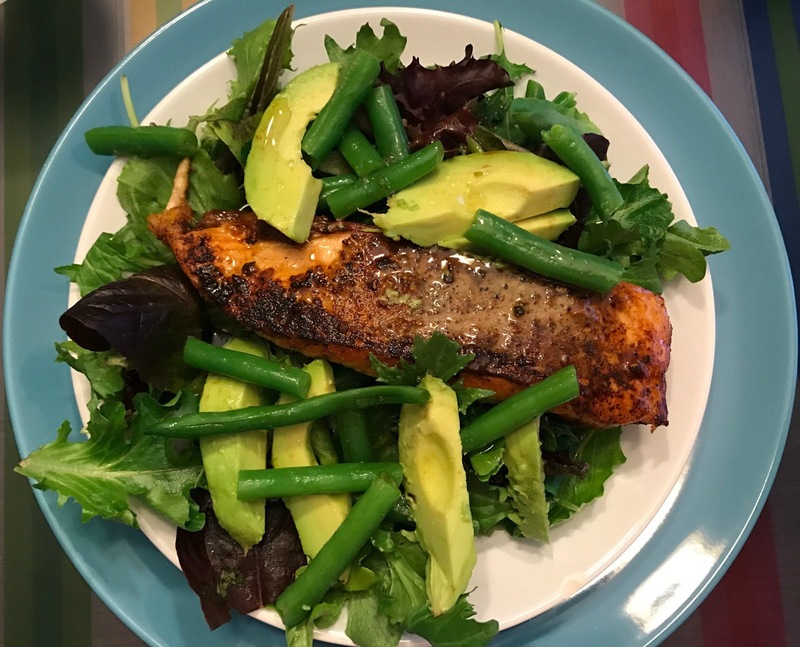 Cut salmon fillets into smaller pieces and distribute on the salad on each plate and serve. Top with your favorite salad dressing or mix together olive oil, balsamic vinegar, fresh lime juice & zest, salt & pepper and you've got a great little vinaigrette!